A very good friend of mine, who is of Polish decent, was reading an article in Polish next to me and pointed to a name referenced repeatedly, that being Michał Anioł. She looked up at me peering over her shoulder and said, “You know this guy.” I honestly had no clue who she was talking about and said so. She looked at me like I was crazy. I reiterated that I truly had no idea who Michał Anioł was, assuring her that I was not joking. She looked flabbergasted. She then turned the page and I was suddenly looking at the world-famous Statue of David, which I had first seen when I studied in Florence, Italy, in 1981. 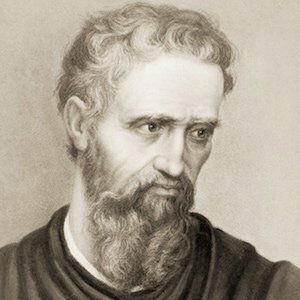 It was then of course that I realized she had been talking about Michelangelo, who of course I knew thoroughly and even wrote course papers about. Such communication mishaps occur all the time in workplaces. Two people can interpret the same word or phrases in opposite ways. Cultural differences can further complicate the communication and outcome. –	Encourage all managers at your organization to always share what they learn at management meetings with their work groups and direct reports. Research has consistently shown this lack of communication is the single greatest complaint about communication. As such, encourage your managers to put ongoing Outlook Calendar reminders to host “huddles” with their employees, thereby making such consistent communication inescapable. –	Make a concerted effort to “bridge the gap” as it relates to differences in culture, ethnicity, gender, age, language, education, etc. Furthermore, create an organizational culture that accepts, appreciates, and learns from those differences. Many times, you won’t know if your communication has been unclear because no one has given you honest feedback. This problem can be even more common when working with diverse team members who have different backgrounds, experiences, and ways of working. As the year winds down, now is the perfect time to start thinking about what can be improved in your workplace, and what you can personally do better. Focusing on improving communication can make a resounding impact in your day-to-day work experience, and that of your colleagues. This entry was posted in Blog and tagged culture on November 28, 2017 by Kevin Sheridan.